Beat the January blues, it’s time to get fit, reduce stress, and be part of something far more than just a game. Experience an array of health and wellness benefits for women through golf. Fota Island Resort offers amazing golf packages for women looking to go beyond the game and create a new positive lifestyle. Learn more about what’s on offer at The Women & Golf: An Introduction and Occasion which will be held in Fota Island Resort on Saturday, 26th January from 3pm. Gather your pals or come along solo and enjoy a cocktail and some nibbles as the team at Fota Island Resort chat through the personal and physical benefits of golf for women, as well as the packages available at Fota Island Golf Academy. Fota Island Resort has a range of specially designed packages ranging from absolute beginners to more advanced players to lift their game to a new level. Golf lesson packages are available off the shelf, but can also be specifically tailored to each individual. With on-course instruction included, lessons include your long and short game, bunker play and putting as well as skill testing and etiquette. The Ladies coaching packages include Academy membership, on course playing time, an introduction to TPI golf fitness and use of clubs with the option to buy at the end of the year. This championship Cork golf club is home to outstanding natural landscapes which offer a superb golfing experience, against the setting of gorgeous woodlands and vistas across three traditional, fair but yet challenging golf courses, and the option to sharpen your game with some practice or one-to-one training at Fota Island Resort’s Golf Academy. 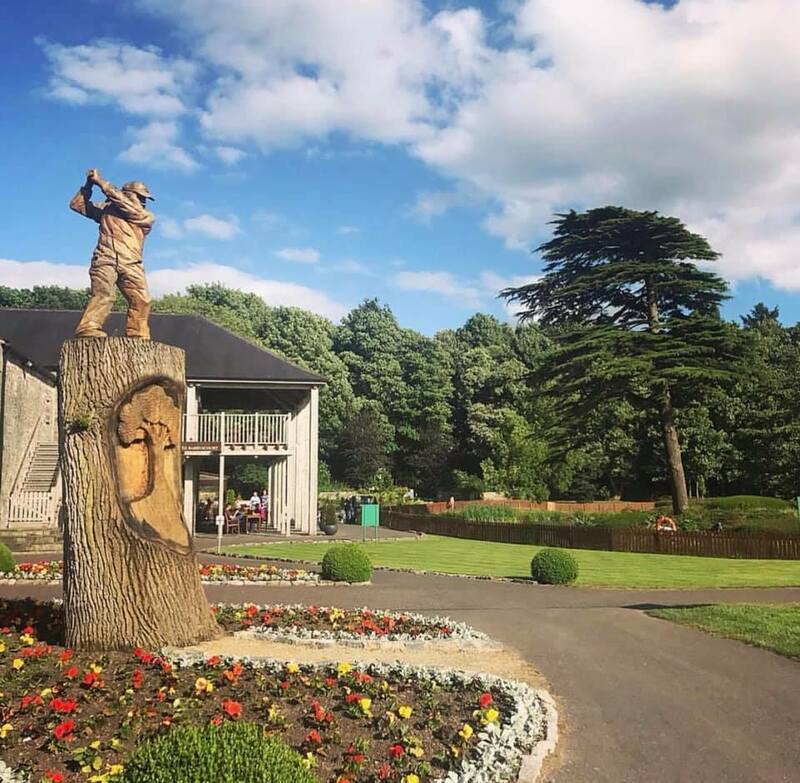 Fota Island Golf Academy is set among tall oak trees, a tranquil and peaceful setting in which to learn new skills with the help of Fota Island Golf Club’s experienced PGA Professionals. With two outdoor USGA spec tees, three USGA spec chipping greens and a USGA spec putting green, indoor facilities include a golf simulator featuring Trackman launch monitors, as well as two trendsetting teaching rooms.